Zane is a 1986 graduate of Lock Haven University, where he earned a Bachelor of Science degree in Mathematical Computer Science. In 1984, Zane began his career as a computer programmer, programming in BASIC on Osborne and Apple II computers running the CP/M Operating System. In 1986, he was hired full-time with Bethlehem Steel as a programmer and Local Area Network administrator, where he discovered and fell in love with computer networking. A lot has changed since those early days, but he has kept pace with the industry as it has evolved, and has continued to focus on delivering customized Local Area Network solutions for small- and mid-sized businesses. In 2009, Zane co-founded Real IT Care and currently serves as its vice president. 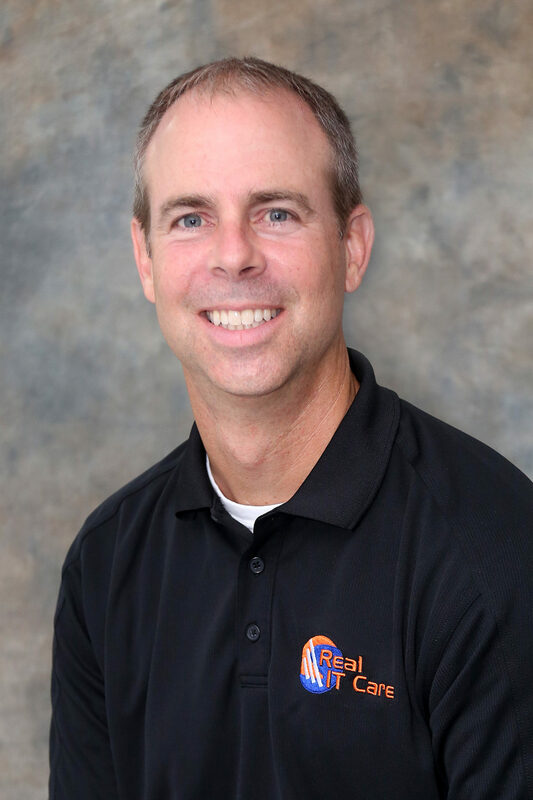 Zane exercises both honesty and integrity in the workplace, and strives to create a trust-filled relationship with all of Real IT Care’s clients. Zane enjoys many outdoor activities, including golf, tennis, downhill and water skiing, and road cycling. He also enjoys reading and is actively involved in his church.